This is the second of three parts of my response to an Op Ed column (“Hollywood Dishonors the Bard”) in the New York Times by Professor James Shapiro of Columbia, who is defending the Bard of Tradition against the forthcoming movie “Anonymous” from Roland Emmerich, portraying Edward de Vere Earl of Oxford as the true author of the great poems, plays and sonnets. 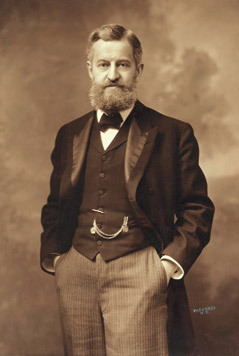 Shapiro is referring below to John Thomas Looney, whose book “Shakespeare” Identified in 1920 introduced Oxford’s candidacy. WHITTEMORE: This is the classic mix-up of two separate entities. The name “William Shakespeare” or just “Shakespeare” or “Shake-speare” was well-known and other writers referred to the great author by that name. But they never described his physical person in any way, not during his lifetime; they never reported talking with him, breaking bread with him, working with him, drinking with him; they knew him as a name. On the other hand, those “court records” had nothing to do with writing or poetry or the drama; such documents involved the man from Stratford and his very separate life. WHITTEMORE: Well, for starters, Edward de Vere was connected personally in the 1560’s, 1570’s and 1580’s to virtually every writer whose work would become known as a “contemporary source” for the great author “Shakespeare” in his writings that appeared under that name for the first time in 1593. 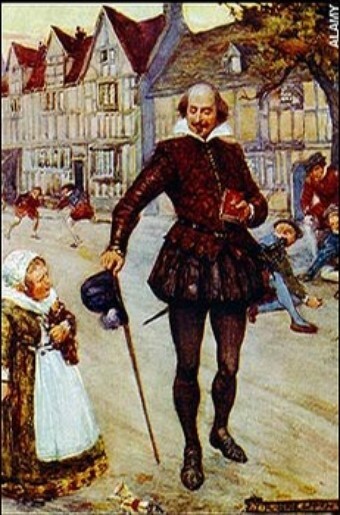 Oxford’s poetry and other public writings can be viewed as part of what Looney called “the long foreground” of apprenticeship that has been missing from all so-called biographies of Shakespeare. By contrast, Will of Stratford had no such foreground of prior work and there’s no record from his lifetime that he had any kind of relationship with any other writer. Ben Jonson’s testimony comes way after the fact, in the Folio of Shakespeare plays in 1623; and even in Ben’s own 1616 folio, he merely listed “William Shakespeare” as an actor while never mentioning him as a writer – even though Will of Stratford had died only a few months earlier that year, without a single eulogy or even mention of him. 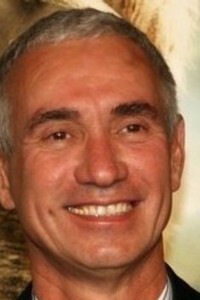 Roland Emmerich, Challenging Tradition with his movie "Anonymous"
WHITTEMORE: Well, now, there are more parallels between the single play of Hamlet and various aspects of Oxford’s life than we could find such parallels between all the Bard’s thirty-seven plays and the lives of those other seventy candidates combined. Trying to put Oxford in the same category is another cheap shot. No, sir, his credentials are different. Anyone who looks at his life — as poet, playwright and play producer; as patron of writers, play companies and musicians; as scholar, traveler, etc. – will see the vast difference. This would be true even if a thousand candidates had preceded Looney’s identification of him. WHITTEMORE: Right – it’s not just a movie, it’s a game changer. 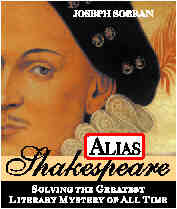 This particular film holds the potential to turn the study of Shakespeare and the Elizabethan age inside-out. For one thing, it will substantially alter Professor Shapiro’s classroom world, especially when students view the documentary film (“Last Will and Testament”) and demand to know why they’ve never been told any of this stuff. To call the movie + documentary film part of a “campaign” is an attempt to cast suspicion on the project — conveniently forgetting that the whole Shakespeare industry, based on the Stratford man, is part of a “campaign” that’s been carried on for more than two centuries … a campaign that has also blocked all attempts to bring the Authorship Question to the attention of students, teachers and members of the general public. WHITTEMORE: Whoa, now, good sir. We learned that trick on the first day of journalism class. You could start with “Hubert Humphrey, a brilliant man, today announced he is running for president” or, rather, “Hubert Humphrey, once a pig farmer, today announced he is running for president” – and so on. Loathed democracy and modernity? Well … no, no, I refuse … no, I am not going to stoop to the position of defending that unassuming British schoolmaster who wrote “Shakespeare” Identified to describe his remarkable feat of literary detection. I’m not going to allow my attention to be diverted from the message to the messenger. That was the trick of Contested Will — trying to tarnish brilliant anti-Stratfordians such as Helen Keller, Sigmund Freud and Mark Twain — and, sadly enough, it worked all too well for those readers who had no other information. 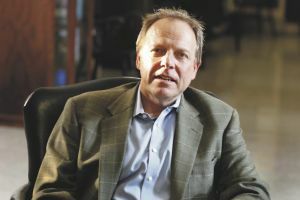 WHITTEMORE: No, Professor, not so. That is not what Looney argued and it’s not what any of us argue. We look at the plain facts of life in London during that time; and we also look at what’s actually in the Shakespeare works – such as, to name two items, the author’s intimate knowledge of Italy and his use of Greek sources, both of which have been denied to Shakespeare by traditional scholars because (1) the Stratford man never went to Italy, as the Earl of Oxford did, and (2) those Greek sources were unavailable in England except in private libraries such as that of William Cecil Lord Burghley, who was first Oxford’s guardian and then his father-in-law. 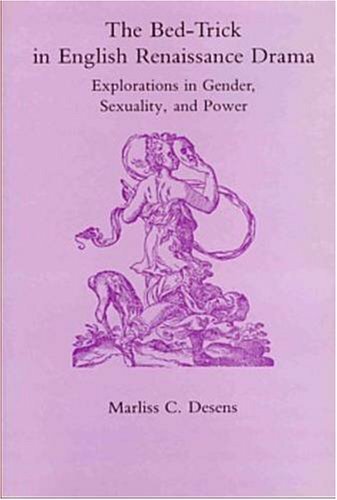 (In fact, that may have been the only library with such source material.) So, no – the argument has nothing to do with what you suggest, which, simply, is that Looney must have been a snob … and the rest of us, too. No, that misstatement is just another attack on the messenger, just another attempt to divert attention from the message. A great irony of the authorship movement is that Henry Clay Folger, founder of that bastion of Stratfordian tradition in Washington, D.C., the Folger Shakespeare Library, was an Oxfordian sympathizer. Folger took such keen interest in J. T. Looney’s 1920 identification of Edward de Vere, Earl of Oxford as “Shakespeare” that, five years later in 1925, he bought the Geneva Bible the earl had purchased in 1570 at age nineteen. Mr. Folger apparently had an open mind; in due time, as evidence in the postscript below will indicate, he very possibly would have gone on to become a full-fledged Oxfordian! Edward de Vere’s copy of the Geneva Bible was quietly ensconced in the Library when it opened in 1932, two years after Folger’s death. There it remained, unheralded, until 1992 – sixty years! — when Oxfordian researchers Dr. Paul Nelson and Isabel Holden learned it was being guarded by folks with powerful reasons to keep its contents under wraps. And those contents were explosive: more than a thousand marked and/or underlined verses, apparently in Oxford’s own hand, with plenty of links to the Shakespeare works. 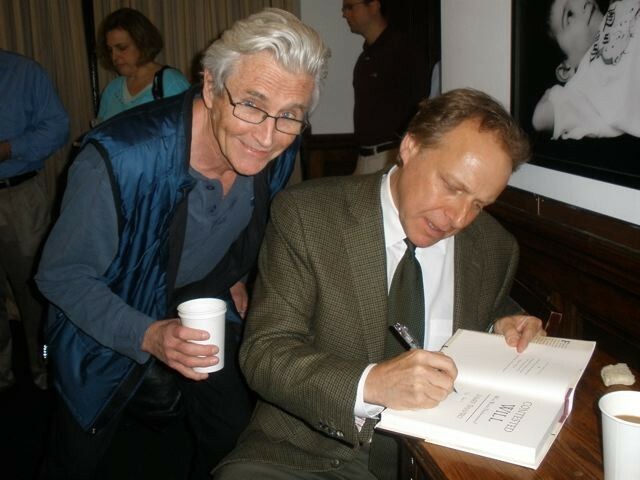 Enter Roger Stritmatter, who would pore over the handwritten annotations in Oxford’s Bible (often in partnership with journalist-author Mark Anderson) for the next eight years, earning his PhD in Comparative Literature at the University of Massachusetts at Amherst. 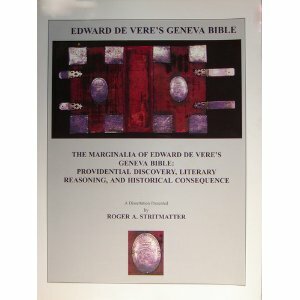 Dr. Stritmatter’s dissertation The Marginalia of Edward de Vere’s Geneva Bible, presented in April 2000, stands as both a remarkable achievement in scholarship and a landmark event in the history of Shakespearean authorship studies. 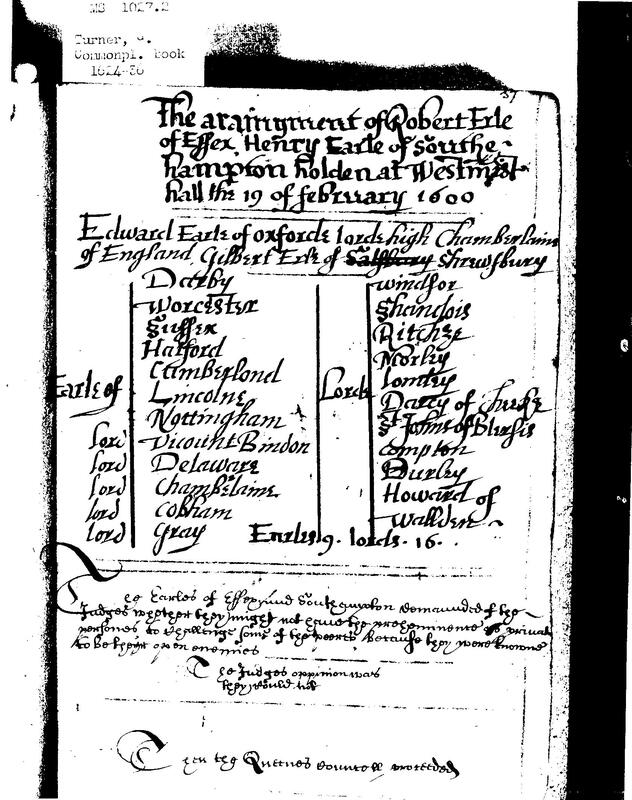 The dissertation is also a powerful demonstration of insights and connections that become possible when the correct biography of “Shakespeare” is brought into alignment with historical documents (such as Oxford’s Bible) in relation to the poems and plays. “To William Seres, stationer, for a Geneva Bible gilt” – well, yes, the copy in the Folger had that same gilded outer edge on the front. Bound in scarlet velvet, its silver engraved arms belonged to the Earl of Oxford. 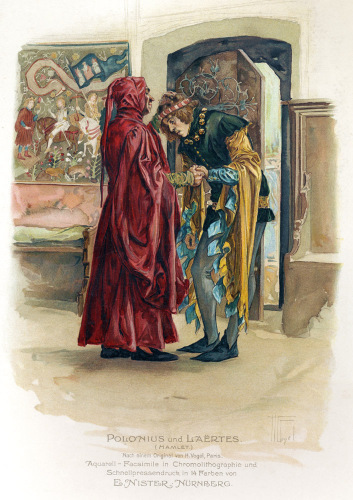 During Stritmatter’s journey he began to perceive a series of “patterned relations” narrating a “spiritual story” that we can see only when Edward de Vere is perceived as Shakespeare – a story about “secret works” by an annotator whose name is removed from the historical record but who, nonetheless, re-emerges as the man who gave the world the greatest works of the English language. In 1929 Esther Singleton published Shakespearian Fantasias: Adventures in the Fourth Dimension, with stories based on characters in Shakespeare’s comedies. Obviously having read Shakespeare Identified by Looney, she introduced the Earl of Oxford as Berowne of Love’s Labour’s Lost, Jacques of As You Like It and Benedick of Much Ado About Nothing. Folger found these tales so delightful that he bought at least twenty copies of the book to give away to friends; and just before he died, he also negotiated with Miss Singleton to buy her original manuscript. Although she herself died only two weeks later, her heirs eventually presented the manuscript to the Folger Library in her memory. So, just as Sigmund Freud’s acceptance of the Oxfordian theory was suppressed, Henry Clay Folger’s sympathy toward Oxford’s authorship was kept a closely guarded secret for decades — until, that is, Edward de Vere’s copy of the Geneva Bible (laying virtually hidden in a great Library ostensibly dedicated to scholarship and truth!) became one more reason to believe that the earl himself was William Shakespeare. 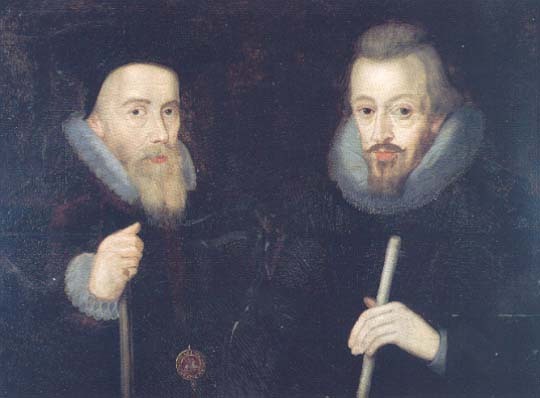 Horatio Vere (1565-1635), cousin of Edward de Vere; with his brother Francis they were "The Fighting Veres"
James Shapiro argues in Contested Will [p. 177] that “such claims about representing on the public stage some of the most powerful figures in the realm betray a shallow grasp of Elizabethan dramatic censorship.” J. Thomas Looney, who in 1920 first suggested Oxford as Shakespeare, “didn’t understand that Edmund Tilney, the Master of the Revels, whose job it was to read and approve all dramatic scripts before they were publicly performed, would have lost his job – and most likely his nose and ears, if not his head, had he approved a play that so transparently ridiculed privy councilors past and present,” Shapiro adds. In other words, Polonius-Burghley reminds Gertrude-Elizabeth that Hamlet-Oxford has taken too many liberties, unbearably so, but nonetheless the Queen has protected him from “much heat” and/or reprisals by government officials [such as Tilney] as well as by his enemies at court. Shapiro is right, however, in one respect: the playwright surely would have lost his head … if he had really been Shakspere of Stratford! Quite a couple of families, eh? The way I see it, this one is a piece-a-cake. Holler the word “precepts” to an Oxfordian and the odds, ten to one, are that you’ll get a quick reply about Polonius delivering “these few precepts” in Hamlet and how Edward de Vere the seventeenth Earl of Oxford would have known Lord Burghley’s real-life Certain Precepts, which were not printed until 1616, the year that William of Stratford died, and long after the play had been written. Well, no, of course this is not proof that Oxford was “Shakespeare,” but, hey, it’s pretty cool…don’t’cha think? Back in 1869, the scholar George French wrote Shakspeareana Genealogica in which he observed that in Hamlet the three characters of Lord Chamberlain Polonius, his son Laertes and his daughter Ophelia “are supposed to stand for Queen Elizabeth’s celebrated Lord High Treasurer Sir William Cecil, Lord Burghley, his second son Robert Cecil and his daughter Anne Cecil.” In other words, in the days before the “authorship debate” got rolling, there wasn’t any question in people’s minds that Polonius = Burghley; those three characters were “supposed” or generally thought to be modeled on Burghley, Robert Cecil and Anne Cecil. 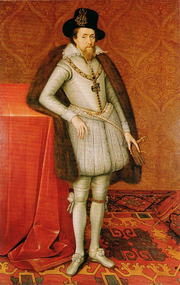 Edward de Vere the seventeenth Earl of Oxford became a royal ward of Elizabeth at age twelve in 1562, in the custody of her chief minister William Cecil, Lord Burghley; and in 1571, at twenty-one, he entered an arranged marriage with his guardian’s fifteen-year-old daughter Anne Cecil. 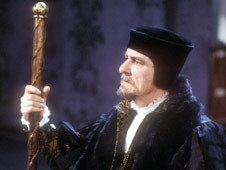 My reason number 14 for contending that Oxford was “Shakespeare” focuses on those “precepts” by Polonius and Burghley. It would seem evident that the author of Hamlet needed to be familiar with Burghley’s maxims, the better to mirror them and satirize them at the same time! He had to have heard them “firsthand” – at Cecil House, for example, where Edward de Vere had lived from age twelve to twenty-one. The first quarto of "Hamlet" appeared in 1603; this is the second one, the "authentic" version, twice as long, published in 1604, the year of Oxford's death. In the decades after J. Thomas Looney put forth Oxford as “Shakespeare” in 1920, orthodox scholars began to back away from Polonius = Burghley. They’ve even tried to suggest that the two sets of precepts are not necessarily very similar. Humbug!!! Following are some comparisons, with the line breaks removed from Polonius’ speech [which is printed below in full, as it appears in the play]. Not only are these specific pieces of advice very similar; also, there is an overall resemblance of tone. Reason No. 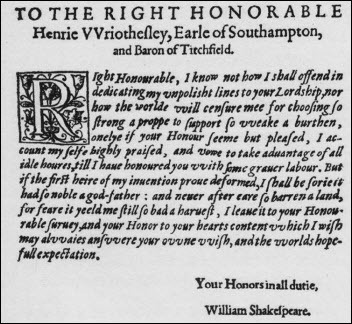 11 (Part One) Why Oxford was “Shakespeare”: His Prefatory Letter for “Cardanus’ Comforte” is … Shakespearean! 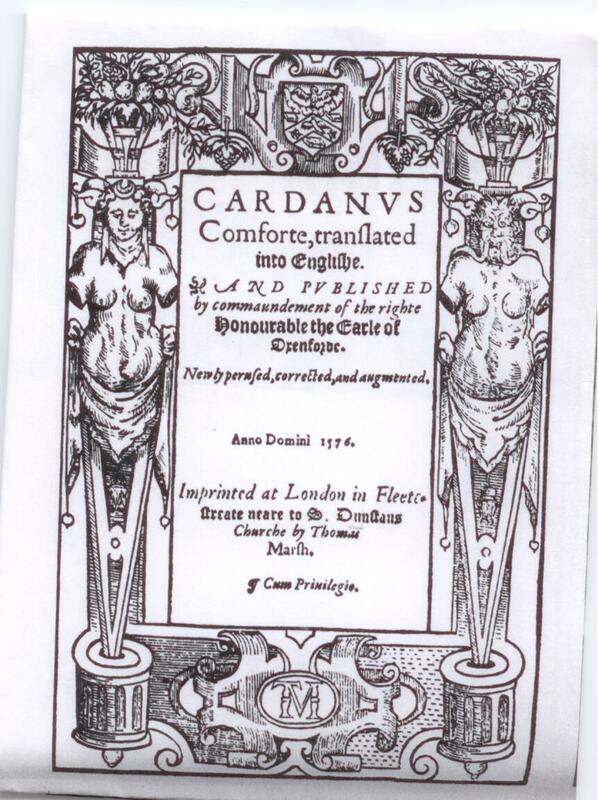 "CARDANUS Comforte, translated And Published by commaundement of the right Honourable the Earle of Oxenforde." 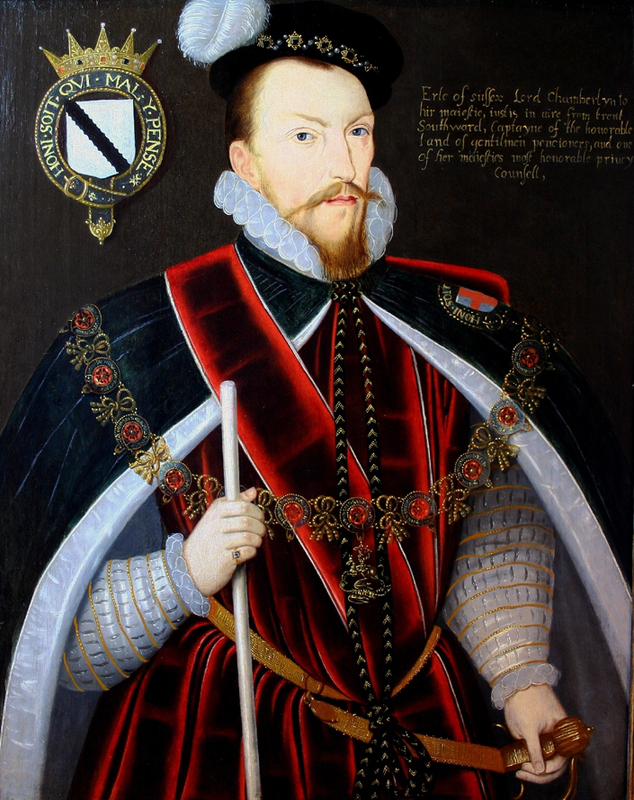 Oxford had taken the court by storm; an expert in horsemanship, he was the new champion of the Whitehall tiltyard; and already he had risen to the heights of the royal favor, amid gossip that he and the queen were lovers despite his marriage to Lord Burghley’s daughter Anne Cecil. In addition, breaking with tradition as he had done with sponsorship of The Courtier by Castiglione, the young earl was clearly England’s great champion of literature and the Italian renaissance. 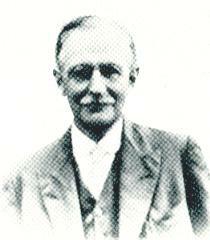 “To my loving friend Thomas Bedingfield Esquire, one of Her Majesty’s gentlemen pensioners. “After I had perused your letters, good Master Bedingfield, finding in them your request far differing from the desert of your labor, I could not choose but greatly doubt whether it were better for me to yield you your desire, or execute mine own intention towards the publishing of your book. For I do confess the affections that I have always borne towards you could move me not a little. But when I had thoroughly considered in my mind of sundry and divers arguments, whether it were best to obey mine affections or the merits of your studies, at the length I determined it better to deny your unlawful request than to grant or condescend to the concealment of so worthy a work. Whereby as you have been profited in the translating, so many may reap knowledge by the reading of the same, that shall comfort the afflicted, confirm the doubtful, encourage the coward, and lift up the base-minded man, to achieve to any true sum or grade of virtue, whereto ought only the noble thoughts of men to be inclined. “And because next to the sacred letters of divinity, nothing doth persuade the same more than philosophy, of which your book is plentifully stored, I thought myself to commit an unpardonable error, to have murdered the same in the waste bottoms of my chests and better I thought it were to displease one than to displease many: further considering so little a trifle cannot procure so great a breach of our amity, as may not with a little persuasion of reason be repaired again. And herein I am forced like a good and politic captain oftentimes to spoil and burn the corn of his own country lest his enemies thereof do take advantage. For rather than so many of your countrymen should be deluded through my sinister means of your industry in studies (whereof you are bound in conscience to yield them an account) I am content to make spoil and havoc of your request, and that, that might have wrought greatly in me in this former respect, utterly to be of no effect or operation: and when you examine yourself what doth avail a mass of gold to be continually imprisoned in your bags, and never to be employed to your use? I do not doubt even so you think of your studies and delightful Muses. What do they avail, if you do not participate them to others? Wherefore we have this Latin proverb: Scire tuum nihil est, nisi te scire hoc sciat alter. What doth avail the tree unless it yield fruit unto another? What doth avail the vine unless another delighteth in the grape? What doth avail the rose unless another took pleasure in the smell? Why should this tree be accounted better than that tree, but for the goodness of his fruit? Why should this vine be better than that vine, unless it brought forth a better grape than the other? Why should this rose be better esteemed than that rose, unless in pleasantness of smell it far surpassed the other rose? “And so it is in all other things as well as in man. Why should this man be more esteemed than that man, but for his virtue, through which every man desireth to be accounted of? Then you amongst men I do not doubt, but will aspire to follow that virtuous path, to illuster yourself with the ornament of virtue. And in mine opinion as it beautifieth a fair woman to be decked with pearls and precious stones, so much more it ornifieth a gentleman to be furnished in mind with glittering virtues. “Wherefore considering the small harm I do to you, the great good I do to others, I prefer mine own intention to discover your volume before your request to secret the same; wherein I may seem to you to play the part of the cunning and expert mediciner or physician, who, although his patient in the extremity of his burning fever is desirous of cold liquor or drink to qualify his sore thirst, or rather kill his languishing body, yet for the danger he doth evidently know by his science to ensue, denieth him the same. So you being sick of too much doubt in your own proceedings, through which infirmity you are desirous to bury and insevill your works in the grave of oblivion, yet I, knowing the discommodities that shall redound to yourself thereby (and which is more, unto your countrymen) as one that is willing to salve so great an inconvenience, am nothing dainty to deny your request. 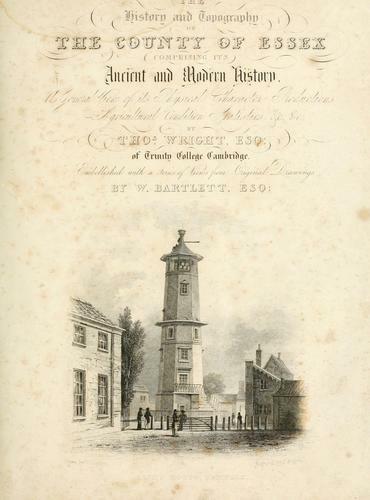 “Again, we see if our friends be dead, we cannot show or declare our affection more than by erecting them of tombs; whereby when they be dead indeed, yet make we them live as it were again through their monument; but with me, behold, it happeneth far better, for in your lifetime I shall erect you such a monument, that as I say [in] your lifetime you shall see how noble a shadow of your virtuous life shall hereafter remain when you are dead and gone. And in your lifetime, again I say, I shall give you that monument and remembrance of your life, whereby I may declare my good will, though with your ill will as yet that I do bear you in your life. “Thus earnestly desiring you in this one request of mine (as I would yield to you in a great many) not to repugn the setting-forth of your own proper studies, I bid you farewell. From my new country muses at Wivenghole, wishing you as you have begun, to proceed in these virtuous actions. For when all things shall else forsake us, virtue yet will ever abide with us, and when our bodies fall into the bowels of the earth, yet that shall mount with our minds into the highest heavens. “I know not how I shall offend in dedicating my unpolished lines to your Lordship, nor how the world will censure me for choosing so strong a prop to support so weak a burden. Only, if your Honour seem but pleased, I account my self highly praised, and vow to take advantage of all idle hours, till I have honoured you with some graver labour. But if the first heir of my invention prove deformed, I shall be sorry it had so noble a godfather: and never after ear so barren a land, for fear it yield me still so bad a harvest. I leave it to your Honourable survey, and your Honour to your heart’s content, which I wish may always answer your own wish, and the world’s hopeful expectation. Shakespeare Authorship “Conspiracy” Theory – Not! I don’t like being lumped into the category of “conspiracy theorist,” no sir, not at all! There’s too much cheap name-calling these days, eh? 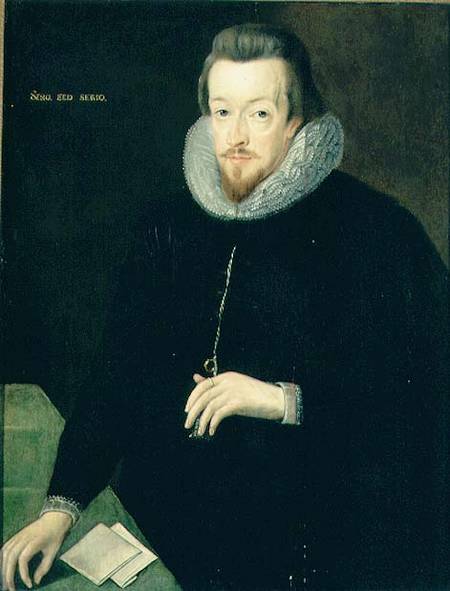 Edward de Vere Earl of Oxford was summoned as a judge to the 1601 trial of Essex and Southampton -- the same Southampton to whom "Shakespeare" had pledged his "love ... without end." It’s true that for twenty-three years I’ve been studying the life of Edward de Vere 17th earl of Oxford (1550-1604) as the author of the “Shakespeare” works, but I never considered myself a “conspiracy nut” in any way. First of all I notice that it’s an opinion apparently held by a lot of otherwise rational, fair individuals. “Hey, you don’t think Shakespeare wrote Shakespeare? You must be one of those conspiracy minded whackos!” I’ve seen this opinion expressed so often in so many books and blogs and it’s been repeated so often that it must be true, right? No. I speak here for myself – not in this case. I’m usually turned off by statements about darkly held secrets and little men in closed rooms pulling the strings of events around the world – conspiracies to make the world think one thing while something else entirely is going on. I’m not interested in that stuff. But I can see why the Shakespeare authorship issue has been lumped into the category of a “conspiracy theory” – because, as I’ve heard over and over, it’s virtually impossible to believe that any such hoax could have been perpetrated by so many folks (who had to be involved) without anyone blowing the whistle or leaving behind at least some shred of evidence. And that’s right, there is no “direct” evidence that Oxford wrote the poems, plays and sonnets attributed to William Shakspere of Stratford upon Avon. Well, I agree that there must have been a whole bunch of folks in the England of Elizabeth and James who knew the truth of the matter. Most of them would have been members of the Court. But did it have to be a “conspiracy” among them all? No. The silence would have continued in the same way there was silence about FDR’s illness, about JFK’s affair with Marilyn Monroe, about John Edwards’ affair that resulted in a child, and so on. How many people on the “outside” knew about the “other life” of Tiger Woods before the truth came out? We tend to forget that England under Elizabeth was an absolute monarchy with the government having total power of censorship and suppression, imprisonment and torture, even death. There were spies, or informers, everywhere. Some were double and triple agents. The Secret Service was expanding throughout the theatrical world as well as elsewhere. It was impossible to know whom to trust. But even more importantly, the question of authorship and authorial identity was simply not asked in those days. Today, for example, we have some very well-known directors who write their own screenplays – auteurs, if you will. Woody Allen would be one of them. But otherwise, out of the last ten or twenty movies you’ve seen, how many of the screenwriters’ names do you know? We remember the names of the stars, often the names of the directors – but the writers of the movies? The point is, most of the time we just don’t even think about it, much less care. 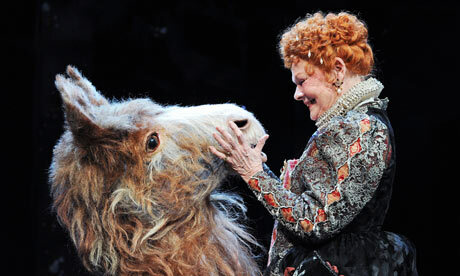 But in the Shakespeare case, there’s another point that is seldom if ever mentioned. 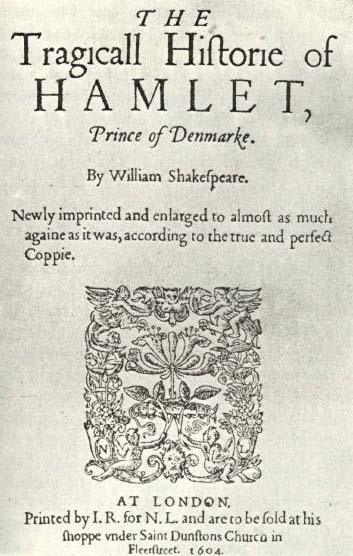 The whole theory that Oxford wrote the plays is based on a unique chronology of events starting with the fact that he wrote the earliest versions in the two or three decades prior to the sudden emergence of “Shakespeare” (the printed name) in 1593. During the 1560’s, 1570’s and 1580’s, the nobleman Edward de Vere was furiously writing poetry and plays while running two play companies, producing plays at Court and Blackfriars and sending troupes to the countryside – all while heading up a kind of “college of writers” that included the likes of Lyly and Nashe and Greene and Munday, and Peele and Lodge and Watson, all of whom dedicated their work to Oxford and all of whom are credited in history with having influenced “Shakespeare,” who supposedly borrowed their stuff and even stole it. In his early twenties Oxford performed most of these tasks right out in the open, although he wrote plays anonymously (even though listed as “best for comedy” by 1586). At age twenty-five he went over to France and Germany and Italy, spending a year with his home base in Venice, and upon his return he brought plays to Court with French and Italian settings. He became known as “best for comedy” because his earliest writings were hilarious satires of current events played before the Queen and her Court and the ambassadors of the world. He was a one-man band, in a way, producing the equivalent of Saturday Night Live and Comedy Central and CNN combined. And here’s the kicker – when Oxford adopted the pen name “Shakespeare” in 1593, he himself dropped from the Court and from public view. So now there was a pen name but no actual “body” to go with it! There was no one around (not even Shakspere of Stratford) trying to claim the works of Shakespeare. It was a pen name, a printed name, on paper. And who was this Shakespeare? Could anyone say they really knew? “Shakespeare” had written those plays performed in the 1580’s? Well, they didn’t know then and the scholars don’t know now – although common sense would tell you that Oxford had spent most of his forty-three years by 1593 having labored mightily to become the greatest writer of the English language. 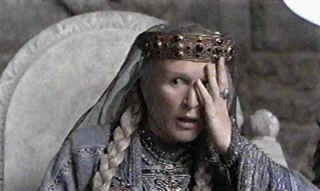 There are, in fact, other aspects to the Shakespeare authorship issue, and they do involve the politics of the day. But that’s for another blog. The reason for this blog, at the moment, is more personal – to share a little of the experience of someone who came into the authorship adventure without ever having heard of any kind of “conspiracy” to cover up the truth. 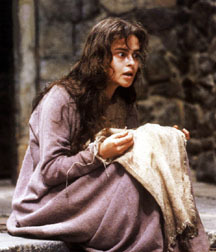 I had acted in a production of Hamlet at the University of Notre Dame and had fallen in love, so to speak, with the prince. Afterward I spent years reciting Hamlet’s soliloquies. I loved his character — an endless reservoir of human emotions in there. 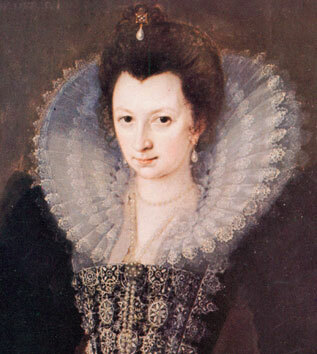 And then one day, reading about the Earl of Oxford, I was amazed to learn there had been a real-live Elizabethan, some fifteen years older than “Shakespeare” but living at the same time, who had a life very much like that of Hamlet! Oxford had been stopped by pirates in the Channel and had talked his way out of a jam pretty much the same way Hamlet did; Oxford brought plays to Court the way Hamlet did; Oxford had married chief minister Burghley’s daughter, reflecting Hamlet’s relationship with Ophelia, daughter of chief minister Polonius; Horatio is Hamlet’s great friend; Horatio Vere was Oxford’s famous military cousin; Horatio and Francisco are on watch in the play; Horatio and his brother Francis were “the fighting Veres” and Oxford’s close cousins. Oxford had been sent into wardship – like Bertram! Oxford had studied astrology and white magic with Dr. John Dee – shades of Prospero! Oxford had fought duels in the street with one faction vs. another – shades of the street-fighting in Romeo and Juliet! Oxford had accused his wife of infidelity – like Othello! 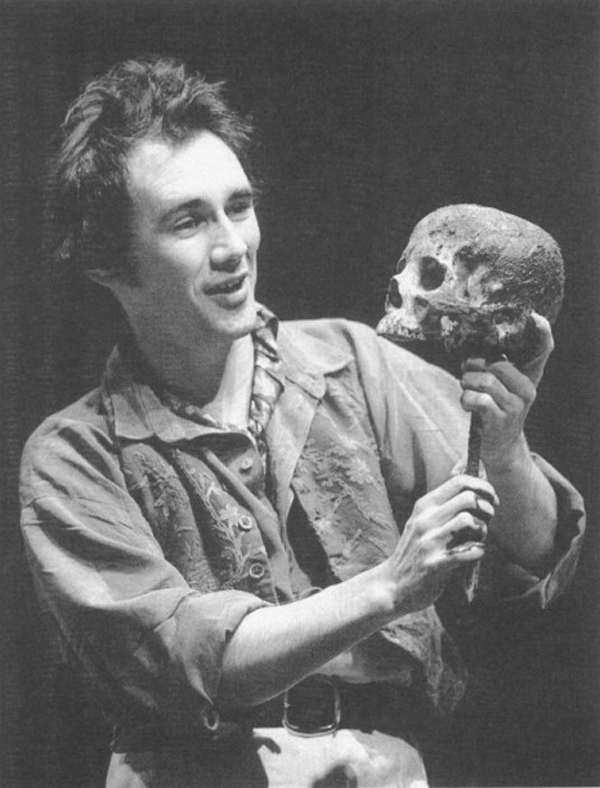 How is it, I wondered, that my teachers and professors had never mentioned this Hamlet-like nobleman who was connected in some way with virtually all the forerunners of the phenomenon of “Shakespeare”? Even if it could be shown that Edward de Vere could not have written the Bard’s works, why would we fail to look at his life? 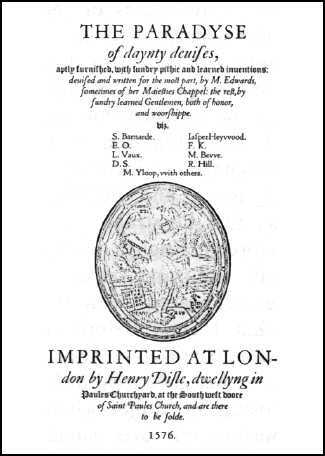 I think the reason for the academy’s failure to study Edward de Vere is that he threatened the cherished belief in the Stratford biography. He had been hidden from the official record of history until 1920, when J. T. Looney pointed to him as “Shakespeare” – so his entrance onto the record came burdened with the baggage of the authorship issue. To be interested in Edward Earl of Oxford was to be a kind of traitor. It suggested that you just might be questioning the traditional image! Otherwise I see no good explanation for shunning this real-life figure who, like Hamlet, put on “an antic disposition” at Court – in Oxford’s case, acting as the Italianate Englishman, among other roles. 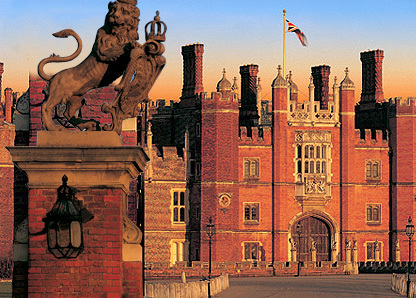 In answer to the critics who shout “conspiracy theory” at us, I’d like to mention that, in the closed society of Elizabeth’s kingdom, writers left clues to the truth all over the place. They slipped in all kinds of hints while giving themselves “deniability” – Hey, this is just a poem – this is just a play – it’s harmless! – and of course I didn’t intend to say anything off-limits. For some reason, Oxford’s authorship was off-limits. It appears, however, that he left behind a veritable self-portrait in Hamlet and other works of literature. I say to hell with worrying about conspiracy theories. Something happened more than four centuries ago that official history has covered up. I say to the critics — Rather than sling such worthless slogans at well-meaning, intelligent folks who love to learn new things about both history and literature, either demonstrate your curiosity or just admit that you don’t give a damn about this fascinating subject matter! The story is much bigger than that. The fact is Oxford had published songs or poems under his own name, publicly, in the collection Paradyse of Dainty Devices of 1576; and he had advertised his writing earlier in his prefaces to The Courtier of 1572 and Cardanus Comforte of 1573. He had used names of living or deceased persons and fictional names. He had written anonymously, too. He had done this through his most productive years in his twenties and thirties, and not until age forty-three in 1593 did he adopt the Shakespeare pen name. I say we Oxfordians might acknowledge the obvious, that Edward de Vere’s s adoption of “Shakespeare” on Venus and Adonis in 1593 and Lucrece in 1594 was different than all the other cases. In this instance he linked the pen name by dedication to a person, that is, to Henry Wriothesley, Third Earl of Southampton. It’s clear that in this case Oxford’s motive in using the pen name “Shakespeare” was TO CALL ATTENTION TO THE EARL OF SOUTHAMPTON PUBLICLY, which he did with dedications to him on those two sure-fire bestsellers. We Oxfordians would do well to acknowledge that the case for Venus and Adonis and Lucrece as somehow “anti”-Southampton has NOT been made. Those who have claimed that either the dedications or the poems carried negative intentions toward Southampton have FAILED TO MAKE THEIR CASE. There is no evidence for that claim and all the evidence we do have is on the positive side. 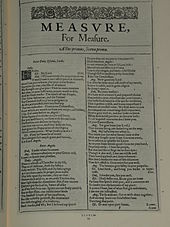 Oxford used “Shakespeare” and the dedictions and the narrative poems to call attention to Southampton in a POSITIVE way. 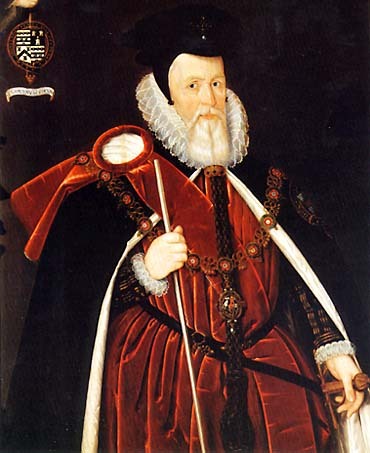 After Burghley’s death in 1598, Oxford’s revisions of his own plays began to have the Shakespeare name on them as well; and there is some evidence that he used these plays to call positive attention to the Essex faction, of which Southampton was a leader. On its face the conspirators of the 1601 Essex rebellion (and Southampton as leader of its planning) used Richard II by Shakespeare in a positively intentioned way against the power of Secretary Robert Cecil to control the coming succession. (2) from 1593, after Southampton had rejected a Cecil alliance through marriage, when Oxford supported him as “Shakespeare” and, therefore, TURNED AGAINST the Cecil-run government … and after Burghley’s death, with escalation of this struggle culminating in the utterly failed rebellion. 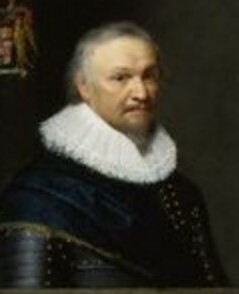 After the abortive revolt and during 1601-1603, it was Robert’s Cecil’s single minded, nerve-wracking task to engineer the succession of James without Elizabeth learning of the secret correspondence with that monarch. Cecil could not afford any opposition, much less civil war. If he failed in this endeavor he was a dead man. He needed all the help and support he could get. As the Oxfordian researcher Nina Green has suggested, Oxford may well have been “40” in the secret correspondence with James; and I recommend G. P. V. Akrigg’s book of James’ letters* including the one to “40”, promising to deal with him “secretly” and “honsestly” and only through Cecil. Both Cecil and James needed Oxford’s support, on various levels, and the perpetual confinement of Southampton — as the base commoner “Mr. Henry Wriothesley,” or “the late earl” in legal terms — was a way of securing Oxford’s agreement to help. 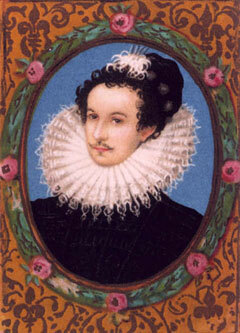 If we believe Oxford was Shakespeare, and if we believe he had told the truth publicly to Southampton that “the love I dedicate to your Lordship is without end,” and that “what I have to do is yours,” then we must conclude that Oxford did whatever he could do to ensure that, if he did help James become king and helped Cecil to regain his power, then Southampton would be released with a royal pardon and all his lands and titles restored. These things did result and they have not been explained by conventional history. But it’s explainable if all those remarkable rewards were in return for Southampton’s pledge to cause no trouble for a peaceful succession. Oxford and Southampton both had potential disruptive moves to make, moves they did not make. And they did not make such moves despite the fact that in no way did any of these English nobles really want James on their throne. And in any case, legally he had no claim because he’d been born on foreign soil. And it’s here that we have the Sonnets with Oxford’s expressions of fear for Southampton’s life, and his pledge that “my name be BURIED,” not just hidden behind a pen name, but really buried and that he would “die” not onlyphysically, which was a given, but die “to all the world,” that is, his identity would die and be buried. So if we choose to take him seriously as speaking to Southampton under these conditions, then here is the correct answer to the authorship question in terms of “why” — why his name was buried: because he had promised this self-obliteration in order to avoid another civil war in England, to bring about a peaceful succession, and to save the life and future of Southampton. All of which was accomplished. rhyme,” that is, he will cheat death in the end through these sonnets. The Sonnets are nonfiction dressed as fiction — a statement I make for the Sonnets, uniquely so, NOT for all the other Shakespeare works — and I believe we Oxfordians would do well to emphasize that we do NOT contend that the plays are autobiographical in the strictest sense. They are works of the imagination, fiction, with many autobiographical elements and, since this is a case of hidden authorship, Oxford undoubtedly inserted clues to his presence. But as Scott Fitzgerald wrote that the rich are different than you and me, so we can say that the Sonnets are different than the poems and plays. The Sonnets, unlike the plays of Hamlet and Othello, are written with the personal pronoun “I” in reference to the author himself. He had agreed to be “tongue-tied” by “authority” or officialdom. The government which he had worked so hard to help, even to the point of testifying against his Catholic cousins — that same government was the cause of his demise. A terribly sad, ironic story — but a much more dynamic one, and a more accurate one, I contend, than the one we Oxfordians have been trying to communicate over the past ninety years. I say it’s time to move the authorship debate forward by putting forth the far more powerful, and human, story that is both personal and political — necessarily political, given that our candidate for “Shakespeare” was in fact the Lord Great Chamberlain of England, highest-ranking earl of the realm and — despite his Hamlet-like eccentricities, his Shakespeare-like multiple personalities — an extraordinary figure at the very center of the Elizabethan royal court, within the context of the Anglo-Spanish War that officially spanned the two decades from 1584 to 1604, when England was always a nation struggling to survive as well as grow.